A hearty, medium-roasted blend using only the finest beans from Africa, Central and South America. So flavorful you won’t believe that it’s decaffeinated. 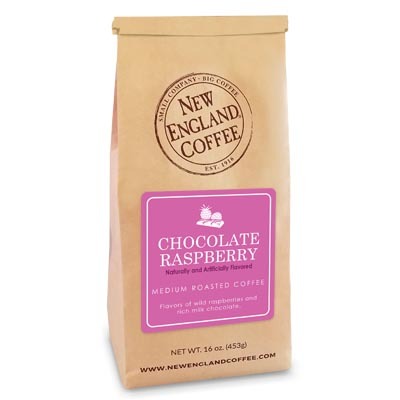 Another great decaffeinated coffee from New England Coffee! My sister and I love this coffee! I look forward to my first morning cup of coffee. The best tasting decaf I’ve found. Love it. Tried this for the first time at random. I’ve enjoyed some of their other coffee’s and thought, oh well no one makes a good decalf maybe theirs will we remotely palatable. With out a doubt THIS IS THE ABSOLUTE BEST DECALF I’ve tried in 40 years of drinking coffee… It is a pleasure to drink and I have been seriously impressed. THANK YOU…! from Wal-Mart. For real, I enjoyed it so much I was drinking cup after cup. I’m not supposed to have too much caffeine though. Got to thinking and wondered if they made a decaff and got on this site…. sure enough they did. I read the reviews and tried it. The reviews were “spot on.” This is the greatest coffee I have had, both regular and decaff. They both have a smooth and rich coffee taste. 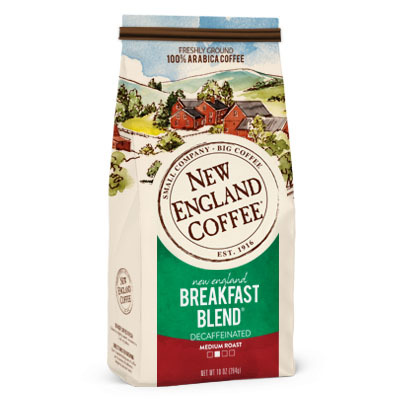 If you’re looking for a decaffeinated coffee without losing great taste, in my humble opinion, you will really enjoy New England Breakfast Blend.